Brisbane’s proposed new bus and train tunnel, linking Dutton Park to Bowen Hills will make homeowners in the subsequent suburbs pleased as property industry experts say that new infrastructure is a major catalyst for property value growth. The Queensland Government's, $5 billion public transport tunnel is 5.4 kilometres running north south and delivering rail and bus together in a single 15-metre wide double-decked tunnel under the Brisbane River and CBD. Dubbed the ‘Brisbane Underground’, it will see a station at Woolloongabba, one along George St to service the new entertainment and casino precinct and university and a third at Roma St Station. Managing director of Brisbane-based property research firm Resolution Research, Diana Howes said past trends showed that suburbs with public transport under construction often brought a annual growth rate in the double-digits compared to the normal 3.4 to four per cent average. Analysis of the Northern Busway, South East Busway and Airportlink shows that it is at the end of construction that we see change in property values. "In the last two years, including the year when it's completed, you get much higher rates of growth” said Diana Howes. Home value growth will see investors make their move on the adjoining suburbs as they have confidence that the public transport infrastructure will have a positive effect particularly across the rental market as the tunnel services fringe and inner city areas. The Queensland Government says it is currently investigating ways to fund the tunnel. 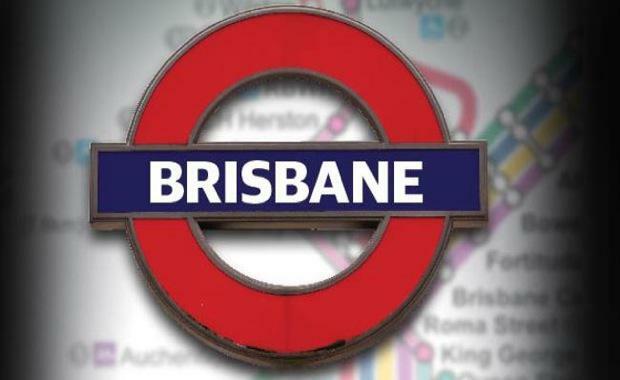 The ‘Brisbane Underground’ is set for construction in 2015 to 2020.